The first event of the new local youth club, Jewish Kids in Action, will be held this Sunday at 2:00 pm! It is not too late to reserve (see below). 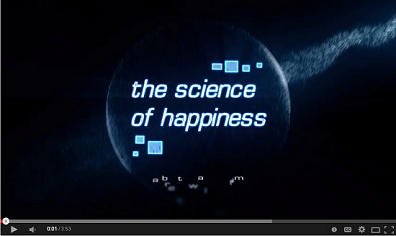 New Happiness course kicks off this Tuesday! The exciting, new fall JLI (Jewish Learning Institute) course, How Happiness Thinks, is set to start this Tuesday, Nov 4, 7:30 pm at 1910 Claiborne Dr.
You will be joining with thousands of students around the world, generating a critical mass of Jewish study and helping to change the face of Judaism today. You are bound to come away from the course with tools to enrich your life and with a more profound understanding of Torah and Jewish thought that that will inspire the people around you. Students are welcome to try the first lesson free. The cost for the entire 6 week course is $99 (10% discount for 2 or more) and includes a beautiful student textbook that is yours to keep. To learn more about How Happiness Thinks, visit www.MyJLI.com or contact Rabbi Schmukler at 713-398-2460 or rabbi@jbayarea.org. ALREADY RESERVED? INVITE A FRIEND! Watch fun previews of new course! Not sure if you'll like it? You're invited to try the first lesson free of charge and with no obligation! Just email JLI@JBayArea.org with your name and that you'd like to try the first lesson. As simple as that. 600 Women at Mega Challah Bake! 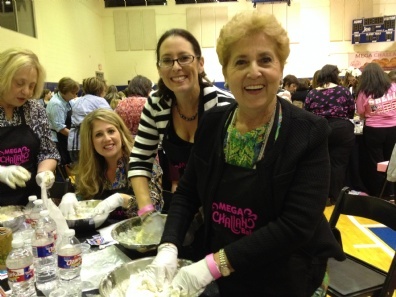 Over 600 Jewish Women from around the Houston area came together last night for what has got to be the largest joint Challah Baking event in Houston history! On the Shabbat of Oct 24-25, thousands of Jews around the world will be "Keeping it Together" as part of the worldwide Shabbat Project. The overall idea is to encourage Jews of all walks of life and levels of observance to endeavor to keep this one Shabbat to the best of their ability. One way is to organize Shabbat celebrations at home and invite your friends and neighbors. If you'd like to join Rabbi Yitzi and Malky Schmukler for Shabbat that week (local hotel accommodations are available - walking distance at Super 8 at FM 518 & Gulf Fwy), send an email to rabbi@jbayarea.org. For more info about the project, check out The Shabbat Project. Launch of new children's club! Attention kids (parents, bubbies and zaidies - you've got to know about this too)! Spend your Sunday the fun way! Introducing "Kids In Action," a brand-new children's club where you come together for fun, interactive activities that promote Jewish values and friendship! Each meeting will feature fabulous craft projects, mitzvah-action adventures, games, prizes and more! Sunday, November 2nd, 2:00 to 4:00 pm. 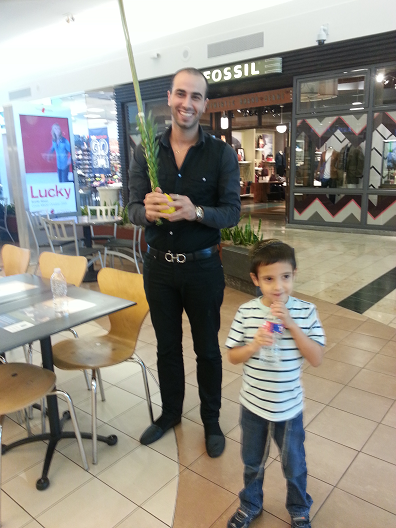 Mendel helping fellow Jews in the mall with the Mitzvah of Shaking the Lulav and Etrog. Shaking the Lulav and Etrog, afternoon prayer and Torah study with guests at the Galveston Gift Show this week. Overview of the new JLI course: "How Happiness Thinks"
Join us on Tuesday, November 4th, for the launch of an exciting and deeply relevant new JLI (Jewish Learning Institute) course: How Happiness Thinks. How Happiness Thinks will be held in League City on Six Tuesdays, 7:30 to 9:00 pm, starting November 4th. To RSVP or for more info, visit www.MyJLI.com, email JLI@JBayArea.org, or call 713-398-2460. 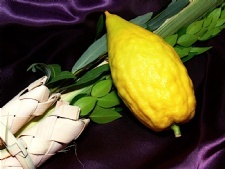 You are invited to come on over during this holiday of Sukkot, to shake the Lulav & Etrog, and sit down with the rabbi for some cake & l'chaim in the Sukkah! Thursday & Friday (Oct 8-9), between 4 and 6 pm (just pop in). Sunday, Monday & Tuesday (call 713-398-2460 to schedule). Time to RSVP for the worldwide Challah Bake! 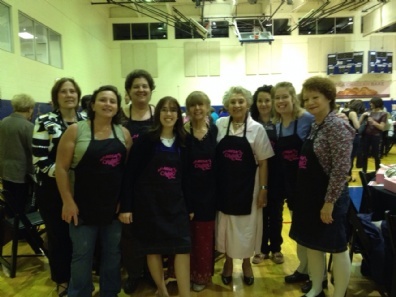 Ladies and girls, join hundreds of other Jewish women from the greater Houston area at the Mega Challah Bake - an evening of unity, inspiration and entertainment to be held on Thursday, October 23, 2014, 7:00-9:00 pm at the ERJCC (the Jewish Community Center on Braeswood). UNITE. LEARN. CREATE. PRAY. SING. Unite with women of all ages and from the many cross-sections of the wider Jewish Community. Learn the secrets to great tasting Challah, and discover the beauty of this tradition, unique to women. Create your own Challah and share the gift of Shabbat, warmth, and great taste with others. Pray - may the power in numbers inspire the answer to each one's prayers. Sing - be entertained by world-renowned singer, songwriter, recording artist and performer, Chana'le Fellig. Tickets are $20, available exclusively online at www.megachallahbakehouston.com and includes two medium challahs, light refreshments and entertainment. When reserving, be sure to select table 53 to join our Bay Area group (if 53 is full, then 52). This event is in conjunction with the worldwide Shabbat Project. Jewish women all over the world will unite as they prepare for the upcoming Shabbat (Oct 24-25). Don’t miss this historic event! Yom Kippur Services will be held at the Courtyard Marriott Hotel in Pearland Town Center, 11200 Broadway, Pearland, TX 77584. Room reservations: 800-321-2211 / 713-413-0500. You are invited to Dinner Under the Stars - a delicious full-course Sukkot dinner held under the starry Texas sky. Suggested donation: $25 adult, $12 child, $180 sponsor. Cost is $40 per set. To order, please email Rabbi Schmukler at rabbi@JBayArea.org.